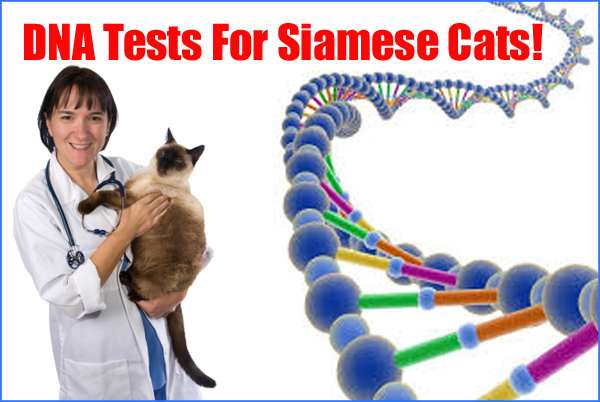 DNA tests for Siamese cats is being worked on to discover the genetic diversity of GCCF registered Siamese cats. By understanding the genetic diversity of the breed, or ‘how inbred a cat is’, Siamese cat breeders are better equipped to make decisions in the future on how to breed their cats. There will always be some level of inbreeding but this test will help minimise the levels and so enable breeders to help maintain the health of this wonderful breed. A cross section of GCCF registered Siamese cats is required from different parts of the country, different lines including modern and old style Siamese. This is an excellent opportunity to take advantage of modern science which will enable us to preserve the health of our beautiful breed. The testing is being done by UC Davis. The samples are taken by the owner of the cats, no need to go to the vets. Testing fees are being taken care of by the Siamese Cat Clubs – there is no costs involved to the owners of the cats. Below is a letter sent in by Rosie Meekings explaining the process and asking for suitable candidates for testing. The first step is to set up a control group of about 20 cats to be used to calculate the average Genetic Diversity and suitable cats are being sought for this. The cats must be over 1 year and currently breeding. This study is free of charge to any breeder whose candidate Siamese is accepted into the study. Although this will be a very new idea for most breeders, I think it will become a valuable tool to evaluate the current state of the breed and to monitor it in the future. Examining Genetic Diversity is just a step forward from using DNA tests for PRA, colours etc and I hope breeders will use it as a factor in their breeding programs. The Genetic Diversity of a breed gives an indication of the level of inbreeding in the breed. This determines the genetic, and by implication, general health of a breed. As a breed progresses, in order to select for certain characteristics, it is inevitable that some degree of inbreeding will take place, which will necessarily reduce Genetic Diversity. It is important that minimising the reduction of Genetic Diversity is an aim in any program of improvement. The outcome of inbreeding can be very serious. There can be loss of vigour with the consequence of health problems, fertility and reproduction issues. Inbreeding impacts particularly on the immune system, reducing its level of function with serious health and welfare consequences. Many breeders use Inbreeding Coefficients to measure genetic health of a cat but this method has its limitations. Calculations depend on the number of common ancestors on the father’s and mother’s pedigrees. A high figure will be an indication of too close breeding but a low figure may be misleading as the result is only as good as the pedigree information available. It is possible to have a pedigree which looks very out-crossed, but which has only a few cats a long way back. This is particularly true in breeds, such as Siamese, which have been established for a long time. A much more accurate picture can be determined by a genetic test. A control group is being set up with DNA test results for about 20 cats. All cats will be screened with DNA markers for diversity, relevant cat genetic diseases for which VGL have tests available, coat colour and hair length traits. Individual animals will be ranked according to diversity (high to low), disease carriers identified. I am looking for suitable cats in order to set up the control group, they may be pure bred Siamese or have Orientals or Foreign White, but not imported cats within 6-generations. It is very important that all types of Siamese, from Traditional to Show Cats, are included. Collecting the sample involves taking a mouth swab using brushes provided. This is taken by the owner and doesn’t need a vet. I need a copy of the pedigree plus registration number and microchip number if available (this is not a condition for the test), details of the parents including registration numbers. The Siamese clubs are being very supportive and have offered funds for this project which means that the tests will be free for participating cats. Please contact rosie.meekings@rantipole.co.uk if you would like to take part or have any questions. If You Enjoyed This Article . . .